This lovely all brick home is perfectly situated on a beautifully landscaped, wooded corner lot. Floor plan is just what you're looking for! 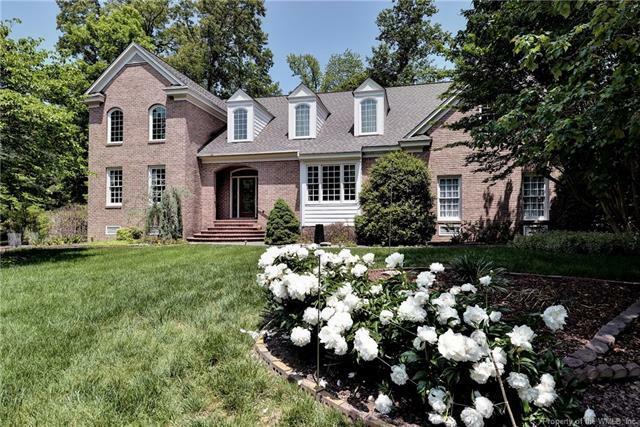 The main level features the master bedroom & bath, laundry room, office/study with built-in bookcases, open great room to kitchen and breakfast area, formal dining room great for entertaining and a huge sunroom off the great room with lovely views! Upstairs you'll find two additional bedrooms, full bath and bonus space for expansion. The oversized 3-car garage offers lots of possibilities! The house is priced it's $9,100 below assessed value.